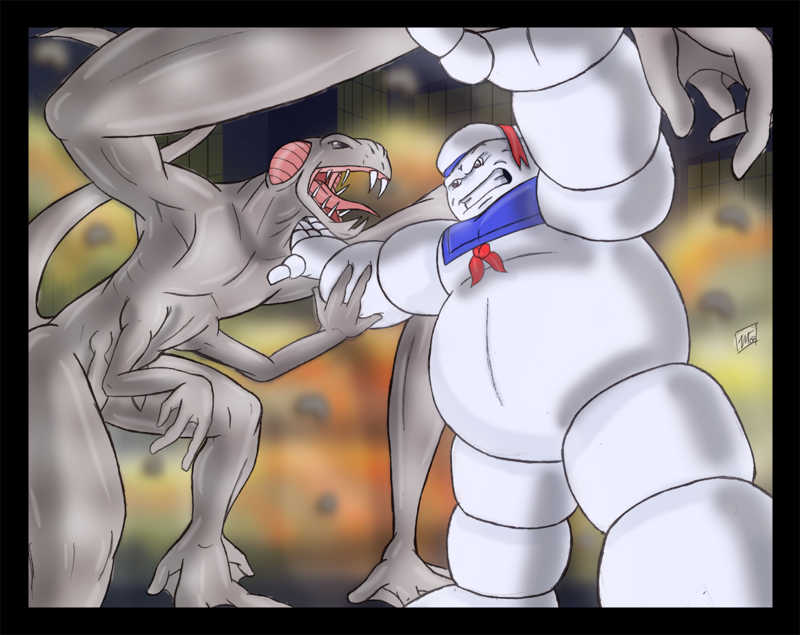 Only in my wildest imagination could I come up with pairing Clover with the Stay Puft Marshmallow Man. Two uniquely American created city leveling monsters duking it out in a no holds bars battle royale. Whoever wins...we lose.